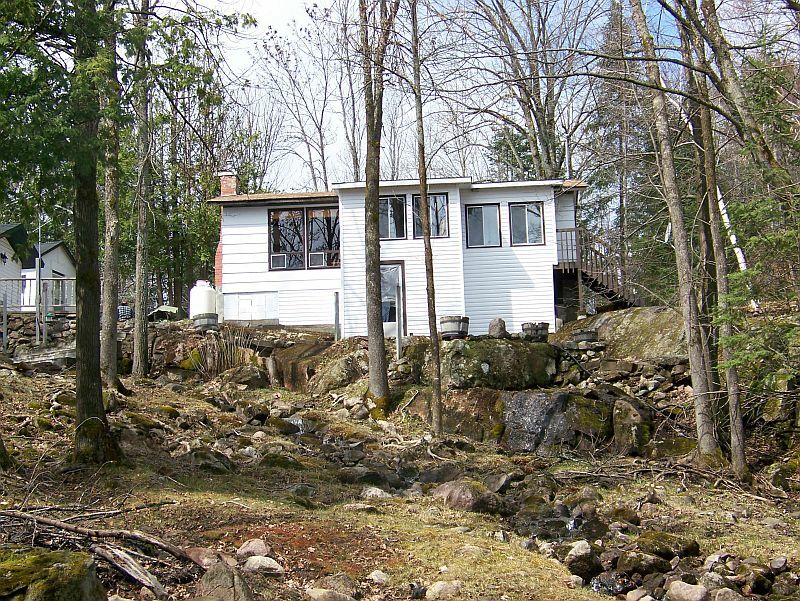 Come and explore the unique and interesting landscape of Brookside cottage. 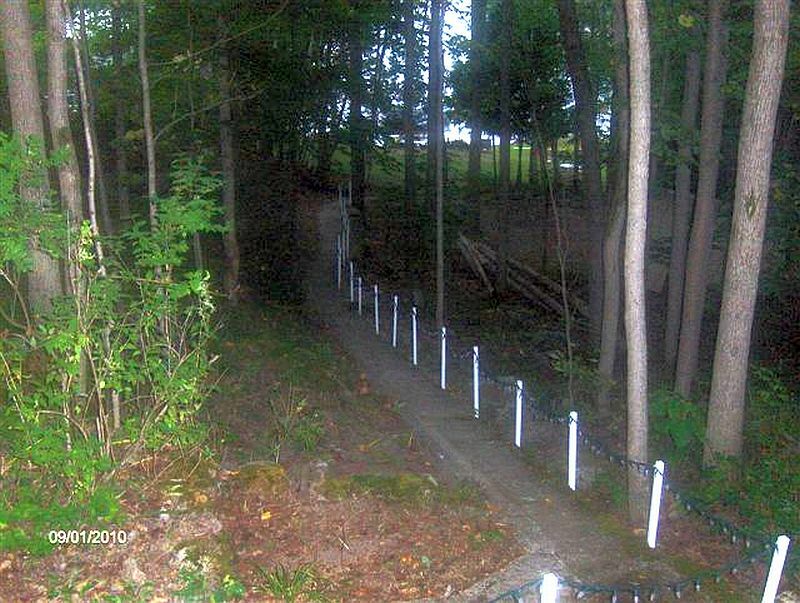 With a natural brook that runs through the property, and an acre for exploring, this is a great location for the adventurous members in the family. The warm and inviting living room, dining room and a fully equipped kitchen provide comfortable space for the whole family to gather at the end of the day, or to watch a movie. 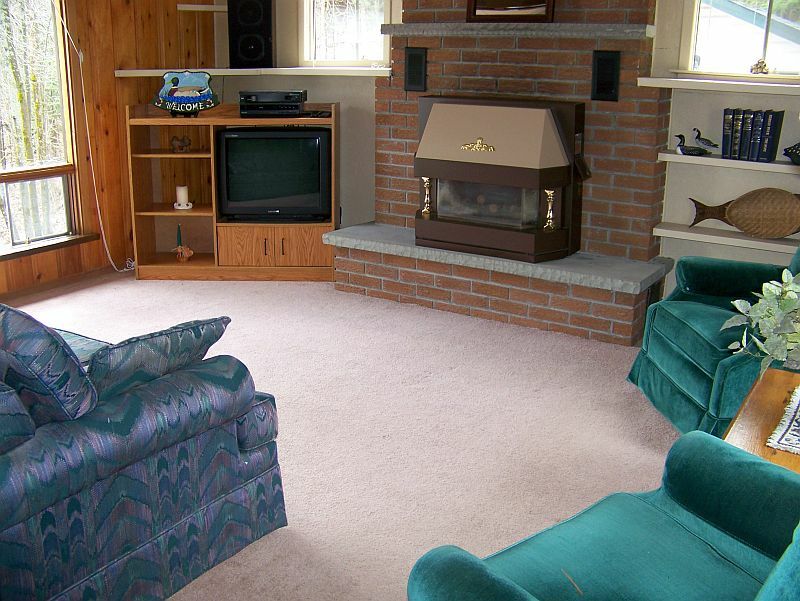 The living room has two large windows allowing the sun to shine in while offering a great view of the lake. 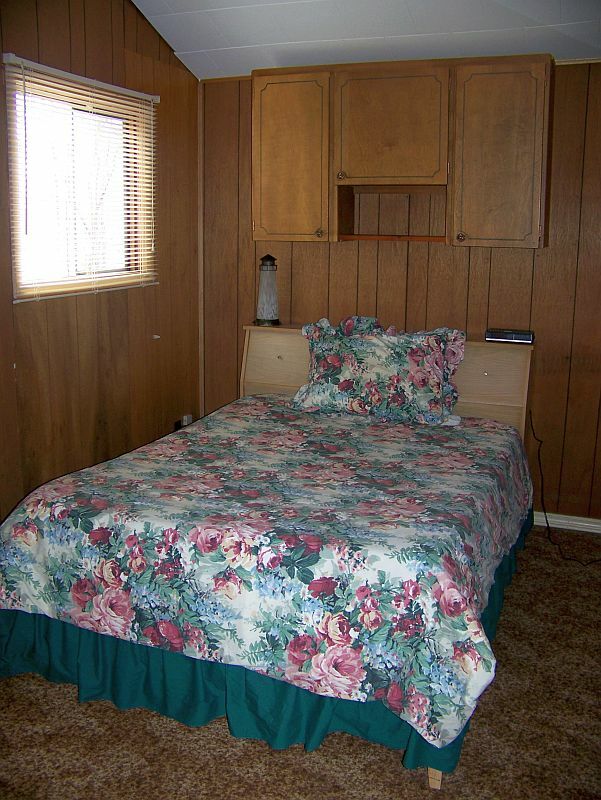 Two bedrooms are located off the living room. 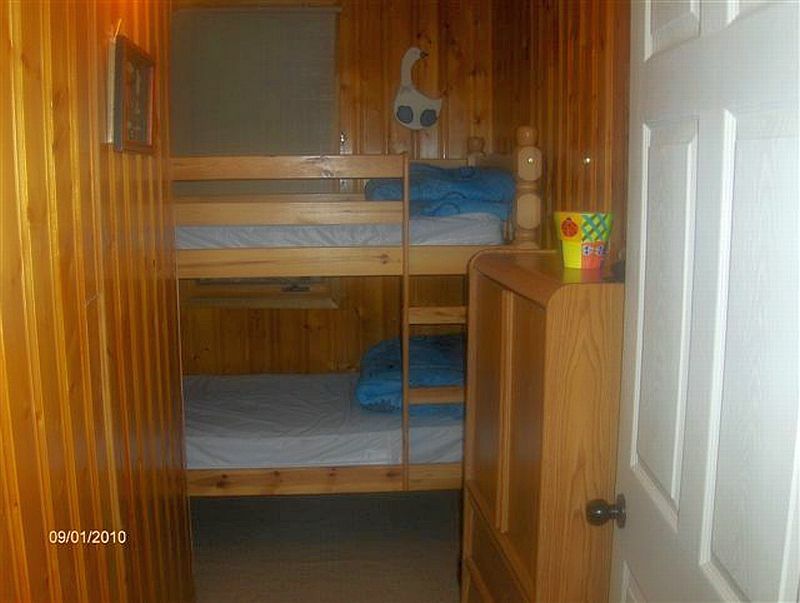 The first has a set of single bunk beds, and there is a double bed in the second bedroom. 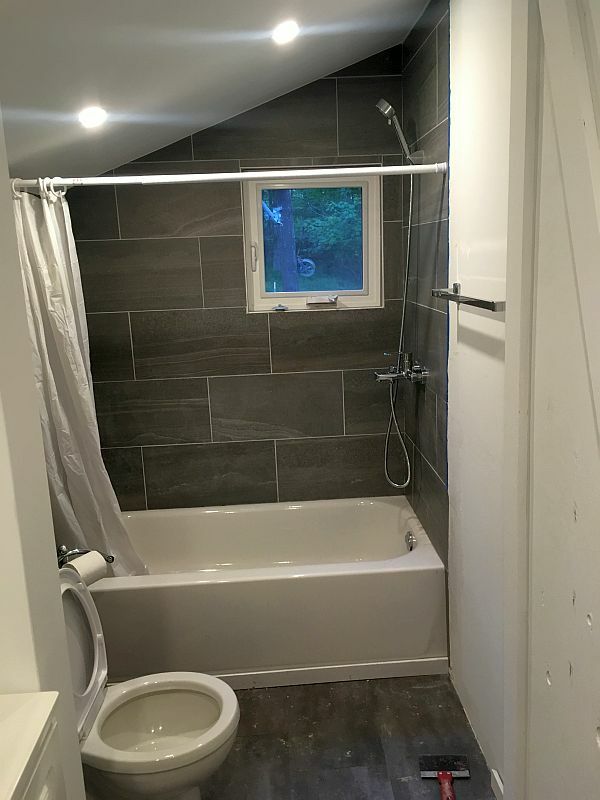 There is a four-piece bathroom. A small bunkie with single bunk beds is located close by. 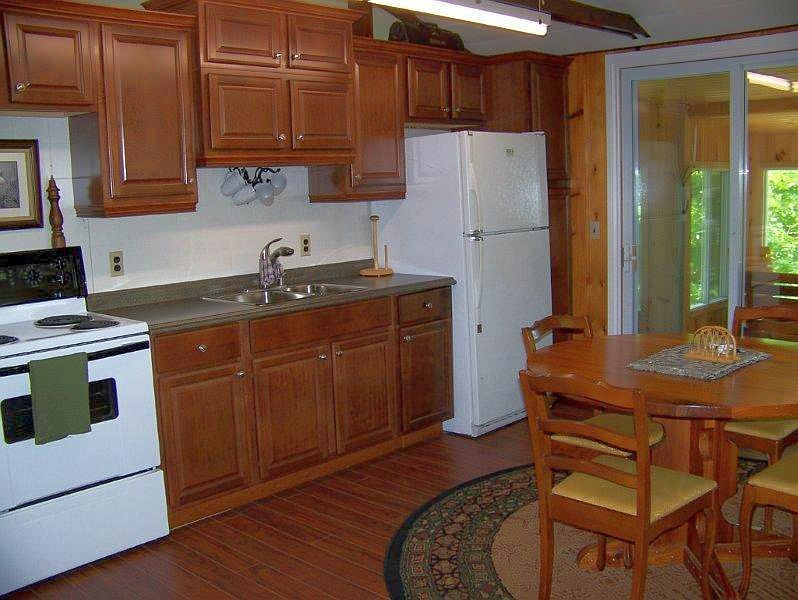 The enclosed sunroom, located at the front of the cottage, is a wonderful spot to sip your morning coffee and read the paper. 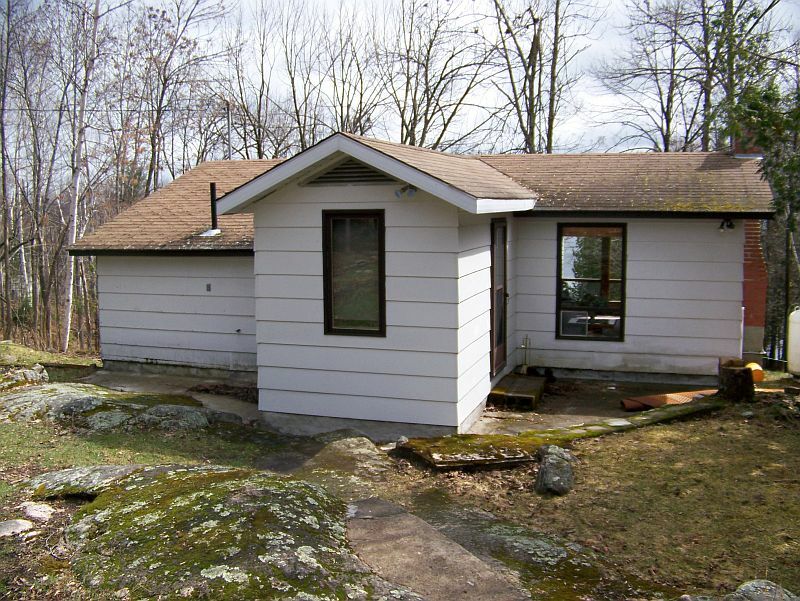 To the side of the cottage is a large flat grassy area that is great for playing soccer, tag or your own favourite outdoor games. Take a stroll down the long, light path to the waterfront. 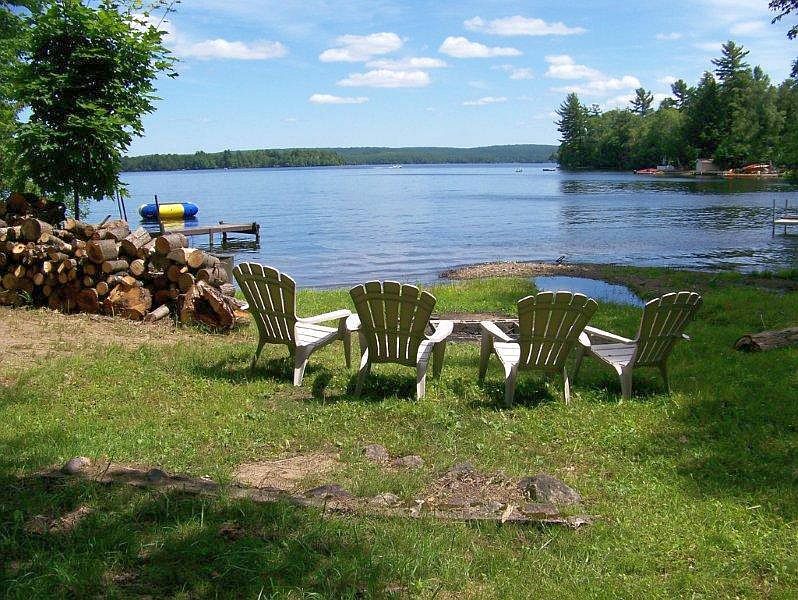 Here you can either swim off the dock, or splash in the shallow water that extends out for quite a way. At the shore there is also a fire pit for an evening of toasting marshmallows and campfire sing songs. A canoe and kayak are provided for exploring the lake or fishing. Lake Nosbonsing is believed to offer some of the best fishing in Northern Ontario with muskie, pickerel and bass all plentiful. Astorville offers a grocery store, gas station and LCBO. A visit to the nearby city of North Bay could include a boat trip on the “Chief Commanda”, live theatre, restaurants, and shopping. The Accidental Damage Insurance covers any unintentional damages declared by the guest before check out.